A modern brand by the creatives for the creatives. A love letter to the creative community, Avenue 41 was a passion project for all of us here at Hoco that still leaves a deep impression today. 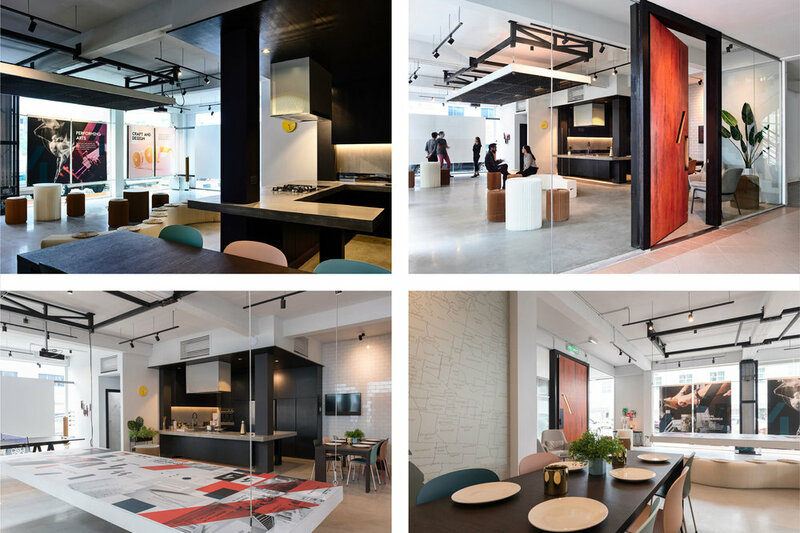 In collaboration with our client, Luxe Development – a well-known and highly-regarded architectural firm – the scope of work was to brand their architectural showroom as a studio space-for-rent. Then came the question: who would it be for and would it stand for anything? This was a very important question for us, as with all things we do, we try to look at the bigger picture and see if there was a pertinent issue we could tackle or a problem we could solve. This would answer the ‘why’ of branding and illustrate how a brand is more than just a logo; that it’s a character with its own distinct voice and personality, and it develops its own key messages about relevant topics. Two late nights and forty shots of coffee later, we caught our big break. We realized something about the very ecosystem we thrive in – the creative industry in Brunei. There were a lot of aspiring artists and no short of ambitious performers, but the creative scene was still struggling to pick up. It was then we realized that one of the reasons for that may not fall in the lack of talent, but rather the lack of space. This became the perfect home for our brand-to-be. A platform for the dreamers and visionaries of tomorrow to draw, craft or perform their best work, in front of an eager audience. We had found the quintessential message: “There’s a place for every talent.” And it’s in Avenue 41. This was the most crucial step in branding, and now that it’s done, it was time to give the brand a look that not only we all could feel good about, but could also properly represent and carry that message. Though no matter what form or shape it could’ve taken, it still would’ve been the product of a well-told story. And that’s one of our greatest specialties.